Okay, we won't mention any names, but one of us has been spending WAY too much time on Twitter. The one who was the most skeptical about its usefulness is now a believer. Look at all the amazing things you can find! The whole article is worth reading because it does not just focus on the good looks of these backsplash options. It also mentions durability and maintenance. Great designers will never let you fill your kitchen with pretty but useless things. They understand how beauty and function must work together in every aspect of your kitchen design. 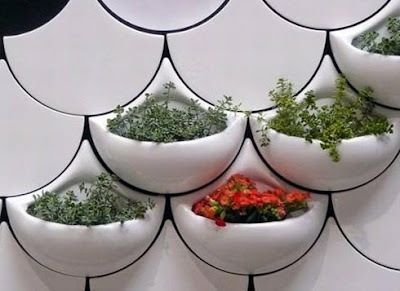 So how could a person actually use these planter tiles in their kitchen? We'll let the wise designers answer that question. 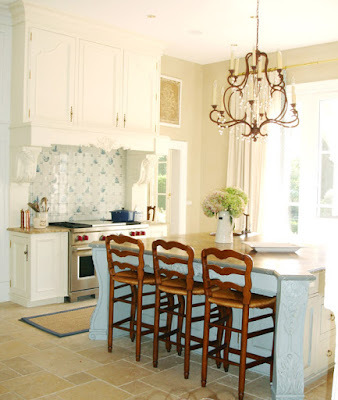 Makes us want to pack up the kids and the dog, move to Connecticut and buy a house, just so we can ask Ms. Ellsley to design a new kitchen for us and then invite Martha Stewart to a dinner party. We can dream, can't we? 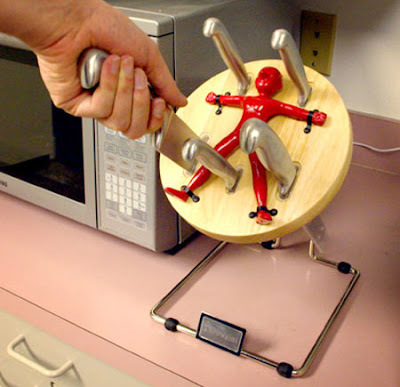 Love the cool kitchen gadget, a great gift for the fun at heart.